In rural Guatemala lies a small village named San Antonio. Consisting of mostly family, the people in the area are direct descendants of the Myan Indians. Life is very different than the life we see in the developed world. These families do not get to eat every day. Their houses, built of sticks woven together, are full of many children. Most of the children never finish the 6th grade. As Americans we see these things as inconveniences, and yet smiles are not a rarity. The young girl in the picture above is named Lucrecia. San Antonio is her home and it is all she has ever known. When Mission Firefly first began working in Guatemala, we visited San Antonio as a potential community to partner with. During that visit we asked the kids what they wanted to be when they grew up. At first there was no answer. It seemed as though they did not understand the question. Then a was hand slowly raised. It was Lucrecia. She said she wanted to be a nurse. Wow! That is all we could think. No girl had ever left the community for school. It was known that girls left school around 15 and worked the fields until they were married and bore children. But Lucrecia had a dream, and that dream could transform her community forever. Fast forward 5 years. Mission Firefly is still working in San Antonio. Each child in school now has a sponsor, and meals are provided each day because of these sponsors. The school in San Antonio now goes to 9th grade, and pastor Jorge Cerritos Jr. Now makes weekly visits to pour into the lives of these sweet people. Houses have been rebuilt of concrete block and clean water is now readily available. 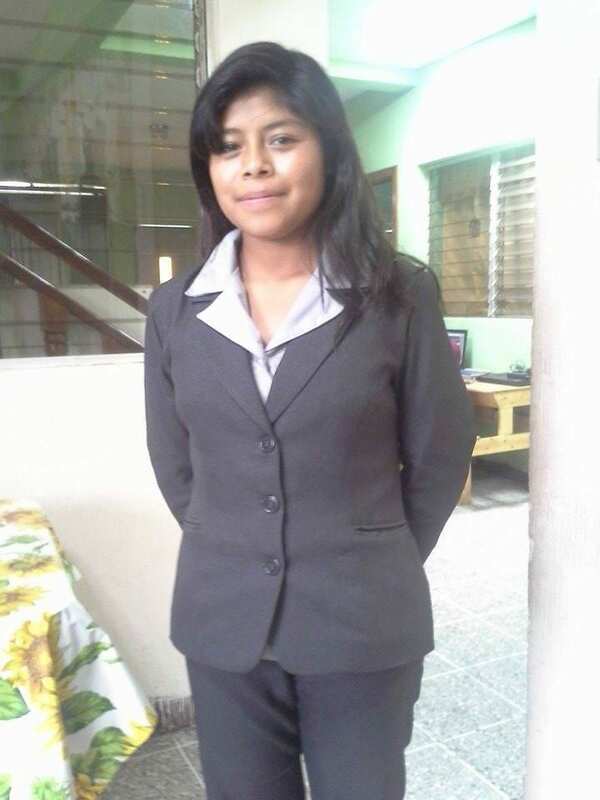 Also, Lucrecia has started her first semester of nursing prep school in Guatemala City. She is living with pastor Jorge Cerritos and his wife Shirley and their kids. We are so thankful and excited to see these improvements in San Antonio and we hope that they will continue. But the most important change in San Antonio is that there are followers of Christ there now. Many of the children, along with some teachers have trusted In Jesus as their savior. And thus, this community has begun to transform. Mission Firefly has struggled, and will continue to struggle as we seek to bring the gospel to everyone in San Antonio as well as their neighboring communities in Guatemala. However we lean on the understanding that God’s will is our ultimate goal. We know that God has commanded us to seek first his kingdom and his righteousness. So as we continue to minister to these amazing people, and to seek to provide opportunities that may have been otherwise unattainable, we ask for your prayers. Please pray that the Lord Will allow us to continue to nurture our relationships with the Guatemalan people. Please pray that we do not lose sight of the fact that the ultimate goal is to share the Gospel, and to make it known that we seek to do kingdom work only to get closer to Him.